White Rose Café offers a delectable buffet breakfast and an ambrosial spread of Western and Asian specialties for lunch and dinner. In March, September and December, our locally popular Penang Hawkers’ Fare features authentic Penang hawkers dishing out their tasty cuisine. Relish all-time Singapore specialty dishes from the Treasured Flavours of Singapore à la carte Buffet Lunch menu, available daily from 12 p.m. to 2.30 p.m. 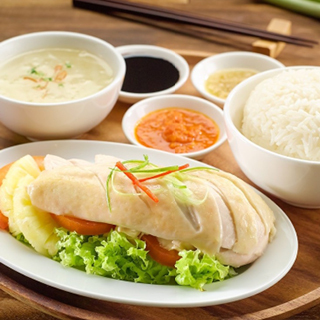 Featuring 25 tantalising selections of local iconic dishes, the spread includes a range of all-time classics and new creations such as Kung Pao Chicken and Chai Poh Omelette. Served with fragrant white rice, the buffet includes one serving of the restaurant’s signature Fish Head Curry.